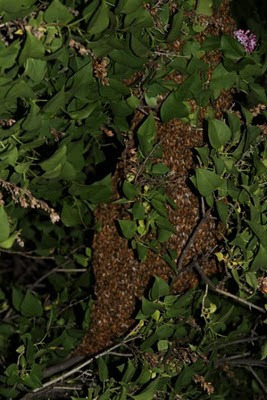 I have been hearing reports of swarming going on. 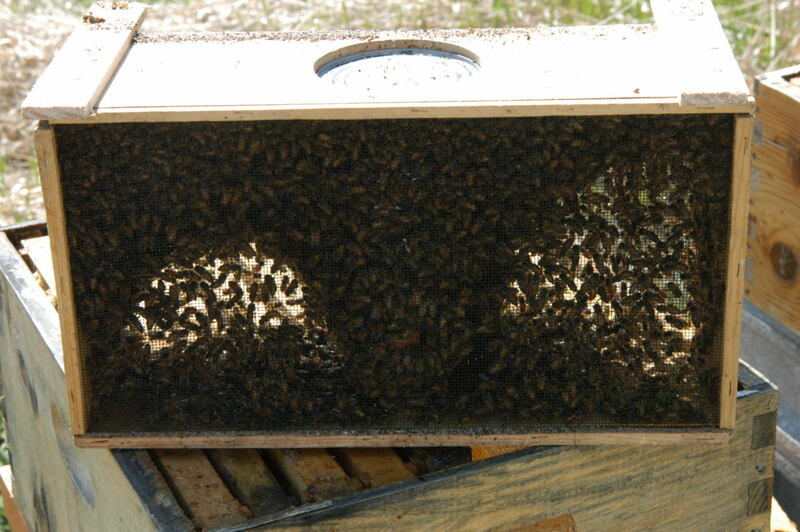 Many overwintered colonies are over crowded and need to be divided. Both of these swarms were huge and were captured by very appreciative beekeepers and they thank you for their free hives. If a colony swarms that usually means you will not get honey off that colony this year. Nature's Nectar LLC buys divides if a beekeeper does not want to get any bigger. Call me if you want to sell a divide. If the bees are blocking your view of the cells, lightly blow on them. They will move out of the way. 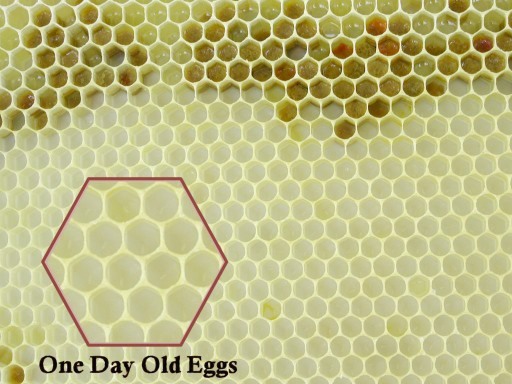 Eggs can easily seen on the black foundation. This is a nice pattern. Most of the cells have eggs, good laying pattern, very good queen. Eggs in the cells, they are white and attached to the back of the cell. New comb on foundation. Note the pollen and the syrup in the upper part of the frame. I will be checking my new packages for queen acceptance this weekend. I will be looking for eggs and small larvae. Looking at the frame of eggs, the cells should be full in a nice concentric circle with a good solid pattern filling most of the cells in the lower two thirds part of the frame. 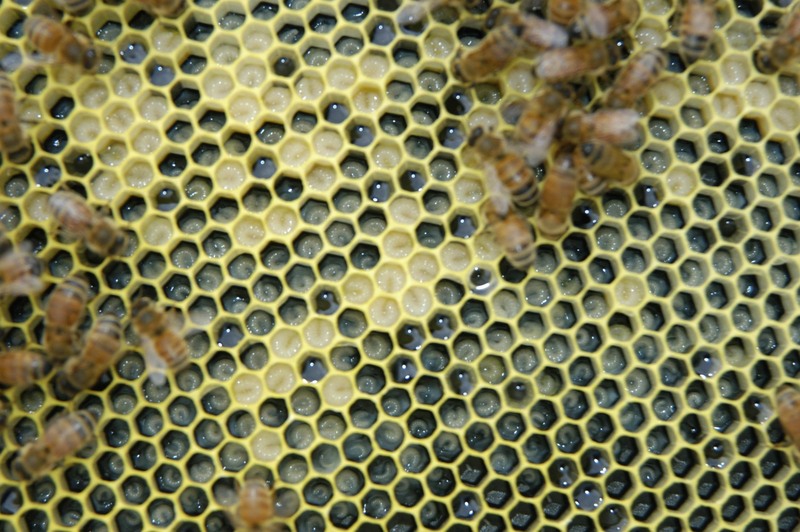 The upper part of the frame is usually the place the bees store pollen and nectar. This is probably the most important thing to check for after hiving a package. Failure to check for queen acceptance can lead to the package turning to laying workers if no queen is present. After two to three weeks of hiving and no queen pheromone is present, workers ovaries can develop and they will start laying eggs. Being they have not been mated, all of the eggs are unfertilized and will be drones. Once the hive turns to laying workers it is almost impossible to turn them around. I know if I see eggs and small larvae I have a laying queen present. I don't have to see the queen to know she is there. If I don't see this I will close up the hive and check again on Monday. If I still don't see eggs I have to assume that I am queenless and the bees did not accept the queen. I will put in a new queen using the slow release method and hope she takes. When returning package bee cages please clean all the debris from the cage. All the dead bees, the queen cage and the feeder can. All of it is either recycled or thrown away. I only want the cage. 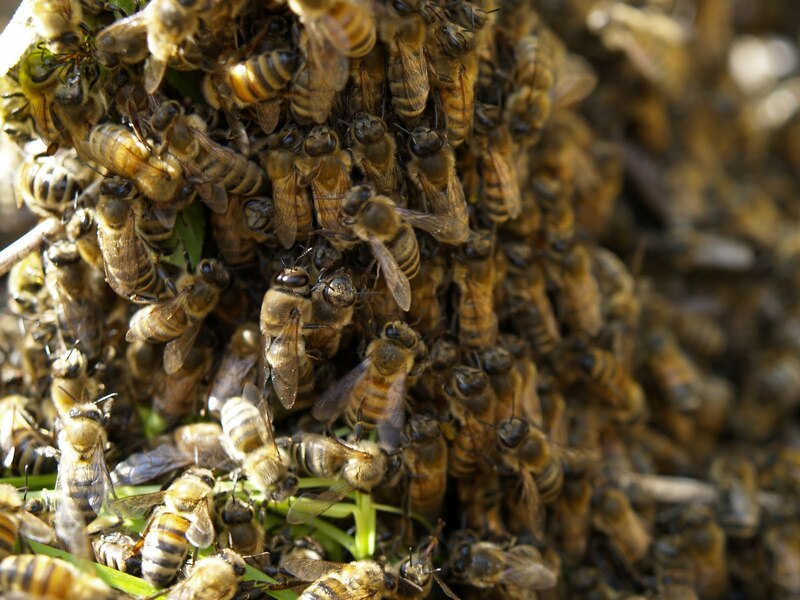 After bees are installed in a hive, it is very important to remove all the debris from the bee yard. A beekeeper left the queen cages in the bee yard near the hives. The day after hiving the packages they noticed bees starting to cluster on the cages. This resulted in one hive leaving their hive and moving in next door. Now one of the hives is empty. If queen cages are left near the hives this can happen. 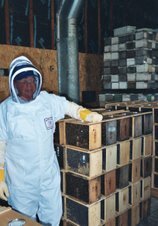 It is unfortunate that a new beekeeper finds out the hard way. I wanted to mention that this can be a problem and not to be overlooked. A beekeeper stopped in today to get some queens. He told me he had a two deep colony that he did not want to winter. It had plenty of honey, but he did not want to run six colonies this spring. He decided to shake them into the snow in Dec. When he started to shake off frames, the bees were all flying and landing on him. (Shades of Avatar for those who saw the movie) They landed on him because he was warm. He wasn't crazy about all the bees all over him so he decided to depopulate by leaving the cover off and the entrance reducer out. He figured that they would be done in by the Minnesota winter tundra. He now has six colonies. The bees made it through the winter and is one of his most populous hives. He has put the cover back on and will be dividing it on Monday. This proves that the ability of the honeybee to survive is an amazing thing. I did get a small shipment of queens in on Friday. The bees are in and can be picked up starting now. Today is first come first served. Tomorrow, Thursday will be by the schedule. This is the schedule for picking up on Thursday. I have to spread out the pick ups through out the day. There are 400 beekeepers picking up and if everyone came at once, there would be a wait time of several hours. This way works well and I hope to be able to move folks through here with no longer than a 5 minute wait. Beekeepers driving long distances of over 75 miles come when you have to. Please try to stick with the schedule. I realize some folk can't get off work and we will do everything we can to help everyone speed through this. orders over 20 packages - 7 am - 8 am if you like. Remember there is no rush to put the bees in, after 5 pm until a 1/2 hour before sunset works best. I am starting to see dandelions sprouting up. This is the first major nectar flow of the season for the bees. This year the dandelions are about two weeks earlier than normal. Most commercial beekeepers time their return from the south to coincide with this nectar flow. Why feed the bees when the dandelion will do this for us. Strong colonies this time of year can really put away a large amount of honey from this flow. I have honey supers on my strong colonies to possibly do two things. One, give the bees a place to put excess nectar if they need the room, so they won't plug up the brood nest with nectar. Two, the bees can put up a decent amount of honey and I may get a super or two of early honey. The dandelions give us large amounts of nectar and pollen. The door of the hive is usually a bright yellow from the traffic. Feeding bees during the flow usually proves that the bees like real nectar over the feeder pail. But if you are drawing out foundation keep the feed on until mid June or until the comb is drawn out, whichever comes first. 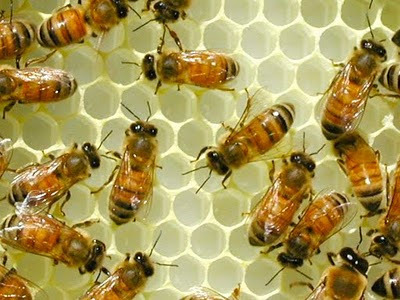 I am hoping to have my first shipment of queens in by the weekend of April 24th. You now can be a fan of Nature's Nectar LLC on Facebook. I talked to my bee supplier tonight. He says that they are dodging thunderstorms that appear will be around on and off for the next week. The delivery date will be up in the air for the short term. The bees will be delivered next week. The date though is up in the air. To make everything work then send the bees across half of the USA, battling the weather all the way, can be a scheduling nightmare. The bee supplier is moving forward and we have to be flexible to be able to move a day or two either way. 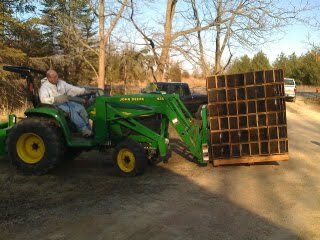 The second load of bees is scheduled for April 21st or 22nd. The date in not solid yet. The one delay of delivery on the first load may have changed the delivery day on this second load. I have a call in for a firm date. Hopefully I will know very soon so we can all plan our week ahead. Bee pick up day went very well yesterday. I think we were able to move everyone through quickly. My helpers as usual were awesome, they had to check the queens on 1500 packages and did a great job. We hope your package installation also went well. Remember to check for queen acceptance in about 7 days. If you see eggs and or young larvae you have a laying queen, you don't have to see the queen. As of now the bees are on schedule. Forgetting to plug the entrance with grass. Failure to do this may cause a hive to abscond and you will have no bees in the hive. Plugging the entrance holds them so they can find food and the pollen patty and get use to their surroundings. Putting the bees in too early in the day. It is best to install the bees late in the afternoon around 5 pm or later. They have a harder time to abscond because it is getting dark in a little while. When the bees are put in late in the day, they won't move to the warm side of the hive if the sun is shining on it and get off the feeder pail. That is why it is important to lift up the feeder pail the next day to make sure there is a large mass of bees under it not a few. If there is a few you have to look under the cover with a lit smoker and if the bees have moved to one side, remove frames from the opposite side and gently slide them so the cluster is in the middle under the feeder pail. Drowning the queen with sugar water spray or forgetting to spray the queen and watch her fly away. This is not good. Before any queen maneuvers take place take a second and think before you act. If you have the plan down it should work. One quick spritz with the spray on her wings. I usually will wait until all her feet are at the bottom of the queen cage and I see the whole top of her, then a quick shppppt and her wings are wet. Hold the cage deep in the hive during the release. Using an entrance feeder to feed the colony. This can lead to starvation in short order. Use a pail feeder. Tearing the screen off the cage to release the bees. 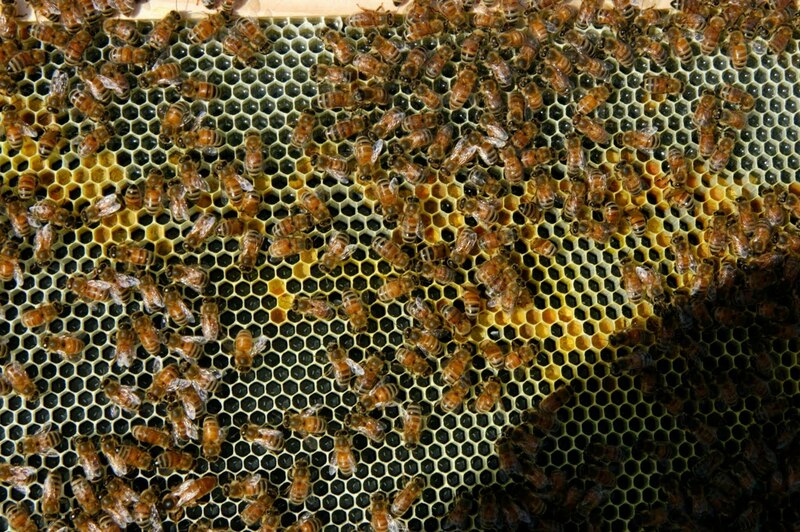 The can is removed then the queen cage is removed then dump the bees into the hive. I have made most of the mistakes above and they usually happen after keeping bees for a couple years when you really think you know what you are doing. Even to this day I give myself a refresher before I go and hive a package.